Now, having looked at these for a minute; tell me literally anything about them. Do you know what currency these are for? Or what blockchain? Who they belong to? In today’s cryptocurrency landscape, when sending assets to another wallet—be it a person or a business—there is no way to easily know if it’s the right recipient, or even the right blockchain. The current state of wallet addresses gives neither an identifier for the recipient nor the currency the wallet is capable of receiving. (In fact, over the time I spent composing this article, I have forgotten what those three addresses are for, and they belong to me). This is problematic, not only because it’s hard to remember and hard to use, but the consequences of the mistake are high, resulting in irretrievably lost money. It is multi-dimensionally bad user experience. Simply put, the cryptocurrency wallet address is a terribly designed interaction for the most common use cases, and it’s holding back adoption. They are the biggest pain point in the everyday use of cryptocurrency. While BTC (Bitcoin) and ETH (Ethereum) are dominant, they still suffer from this problem. This presents an opportunity for upstart cryptocurrencies seeking a competitive advantage over the big players, not only in crypto, but within the entire payment space. Cryptocurrencies need to be much easier to use if they are ever truly going to compete with Venmo and Visa. The human brain isn’t built to remember a 30+ character alphanumeric string. We must make this process easier and more forgiving. How can we remove the friction inherent with wallet addresses and make them easier to use? We can look to the early days of the web for a historical parallel. In the beginning, users had to navigate to IP(internet protocol) addresses in order to find the web page they were looking for. Once the number of internet sites grew, it quickly became cumbersome to remember that the page you were looking for had an an IP address of 3.32.2.23. The solve for this was a system called DNS, or Domain Name System. With the introduction of DNS, the addresses became mnemonic — think yahoo.com instead of 232.23.242. DNS made it far easier for people to remember and find web pages among a rapidly growing number of websites. This dramatic increase in usability led to the explosion of usage. Do you think email would never have achieved its current status as a communication method if, instead of bob@aol.com, we had to remember 32590nui34394hr324hr293rh23r239r? That system would have never found mainstream adoption. Cryptocurrency will be no different — usability will win. So herein lies the opportunity — a blockchain with a built-in equivalent of DNS. Instead of a long string of characters, a user could set an alias that routes to an address on the blockchain. Think of it like a Venmo handle or email address. Each wallet generated on the blockchain could have one. Let’s call it the Wallet Alias System Protocol, or WASP. Imagine you want to send some BTC to a friend. 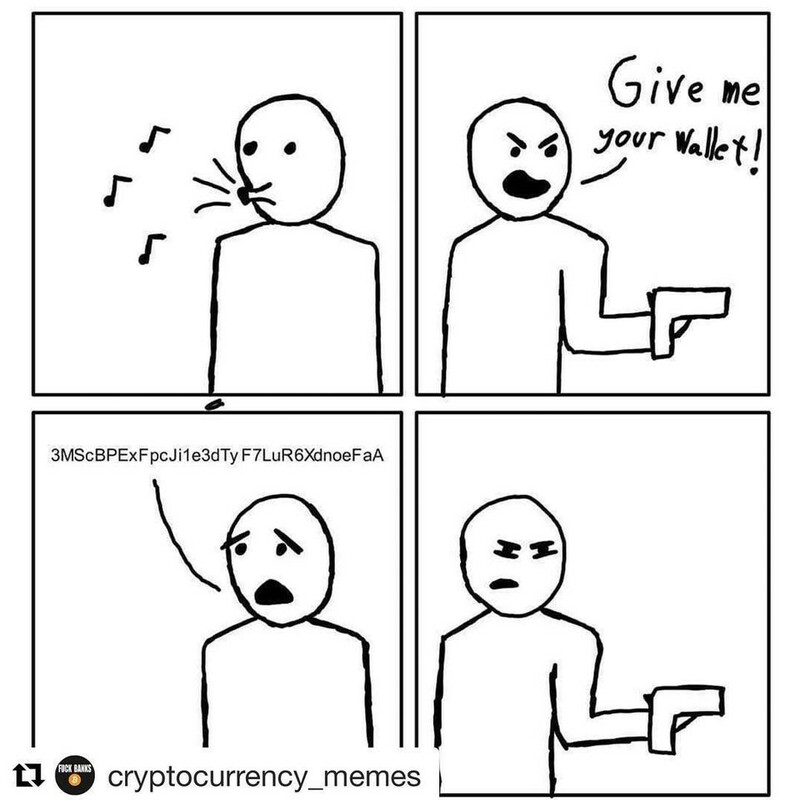 Today, that friend has to locate the correct wallet application, generate or find a wallet address, copy and paste it into a messaging/email app, and send it over. You then have to copy it from the messaging/email app and paste it into your wallet. But what happens if your friend sends a wallet address for ETH instead of BTC? Or accidentally cuts off a character when they copy it from the wallet — or you do when you copy it from the messaging app back into your wallet? That money is gone. There is no way to notice an error before it is too late. The current workflow offers neither feedback nor any type of error forgiveness. There are far too many points of failure for the average user. You know who you are sending to, and on which blockchain. In the case of commerce, where you might need individual addresses for each transaction, you could append a transaction ID, much like a sub-domain. Currently, QR codes can be used to overcome some of these usability hurdles. This has been a reasonably successful stopgap, but it only works when multiple devices are present. Many wallets already have an address book, where users can assign various names to multiple wallet addresses. This would be a great place to start, as it wouldn’t require too much additional UI. This address book naming could be a 2 way interaction, synced back with the blockchain, where the alias you assign to the address in your wallet is written to the WASP and recorded by the blockchain. Other users could use this alias to send you crypto. As an added layer to this new wallet alias/DNS, perhaps there could be some sort of Twitter style verification to ensure you are sending it to the correct party. I lost an ETH when I followed a very well-executed scam url to what I thought was ShapeShift. Given the sophistication of the con, I can’t imagine I am the only one. Because the ETH wallet address was just a long alphanumeric string of characters, there was no way to verify that I was sending it to the right place. But if the address was something like “Shapeshift.ETH ✔️ ,” I might still be 1 ETH richer. Perhaps the verification comes at a cost in the form of a one-time registration fee or increased transaction fees to verified addresses, which could help pay for WASP admin. Some nascent cryptocurrencies, like Electra, are creating applications that allow you to send it over existing social networks, like Twitter or Discord. While this is an awesome feature that will hopefully help drive adoption, it’s subject to platform risk, i.e. Twitter will shut it down once it figures out what’s happening. Plus, these applications are still very difficult to set up and use. Others, like Smartcash, offer the ability to send via email. While this a better solution than currently exists, it’s still a cumbersome process. Rather, this functionality needs to be integrated into the blockchain architecture. There is an arms race happening in the cryptocurrency space, and design is ultimately going to win it. Coinbase is the dominant player in this space for a reason, despite its army of detractors. By taking advantage of the common design patterns of online banking and brokerage platforms, they have simplified the user experience of cryptocurrency to a place where the average internet user feels comfortable. They have achieved outsized success as a result. However, they are still a 3rd party, and trusted 3rd parties are security holes. The first blockchain/cryptocurrency project that puts design and user experience at the center of the product will have a truly unique advantage over other crypto projects — ease of use in an otherwise prohibitively complicated space.